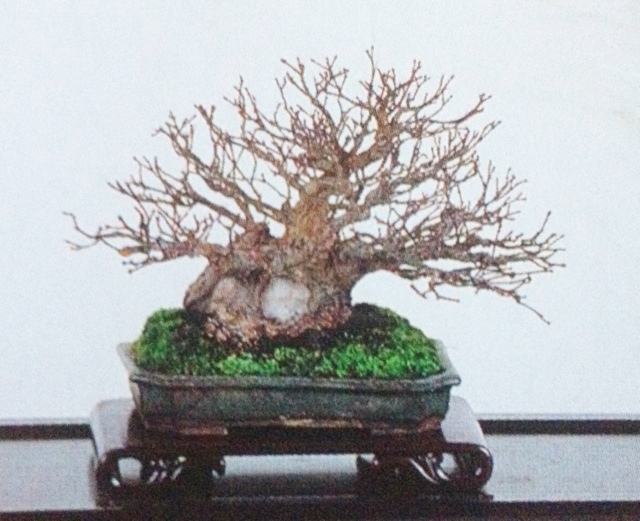 So, in response to a thread in one of the forums, I decided to upload pics of Bonsai from Gafu Ten and Kokufu Ten in Tofukuji pots. 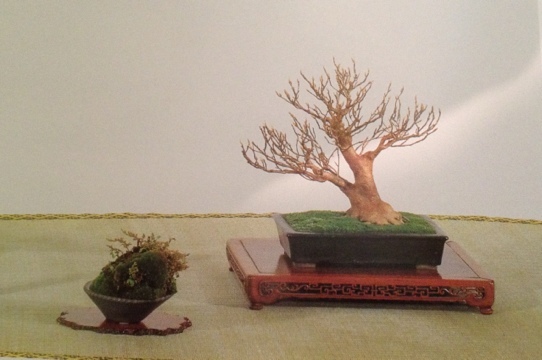 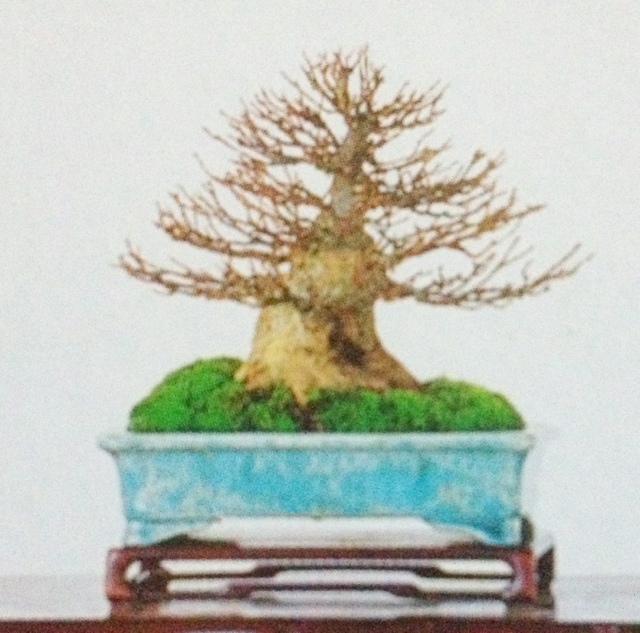 The bonsai on the right is in a Tofukuji pot. 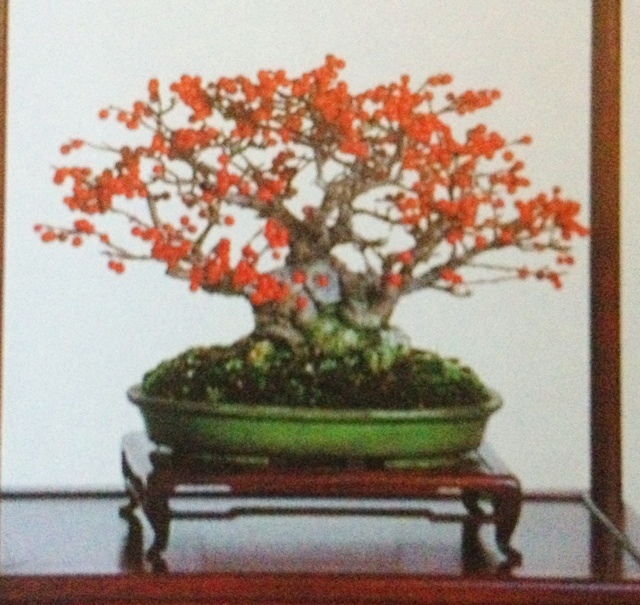 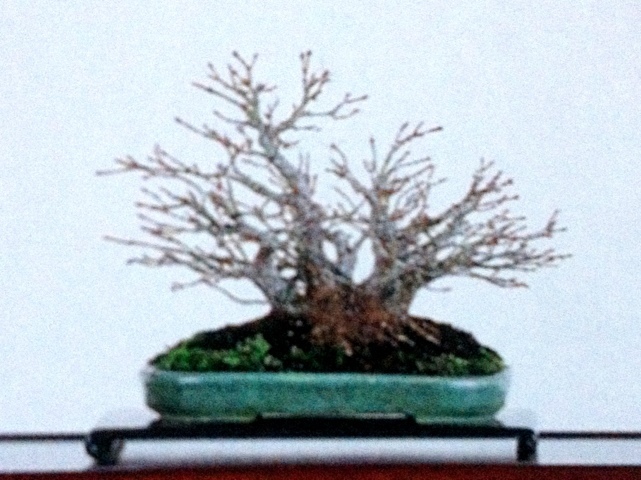 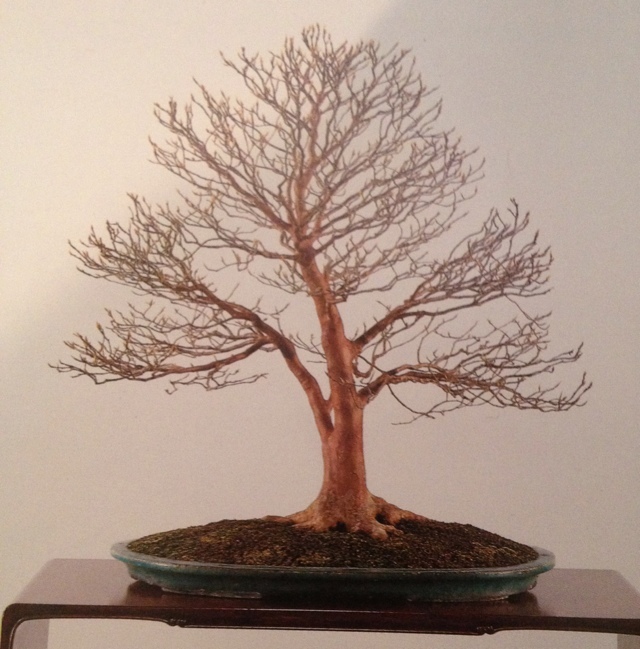 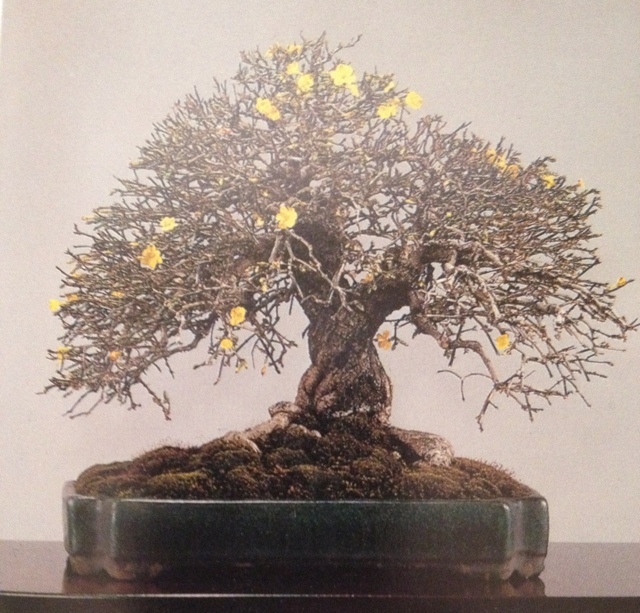 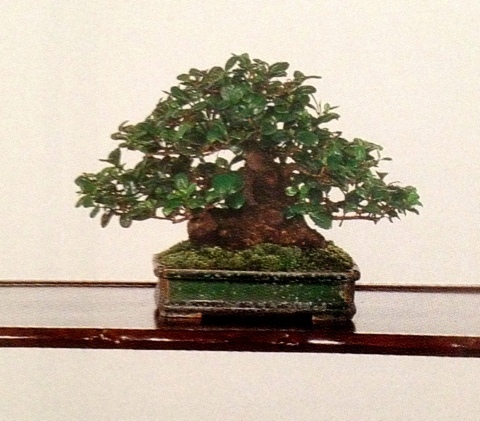 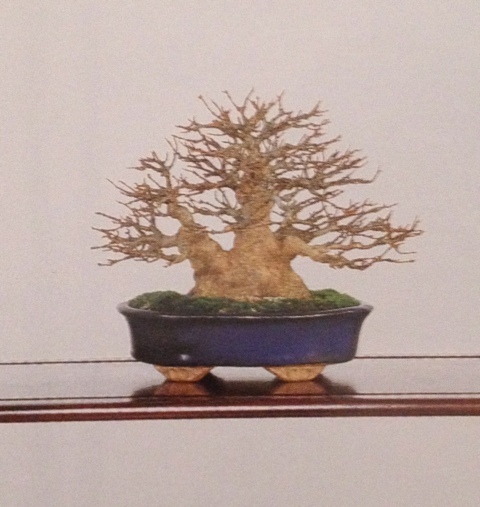 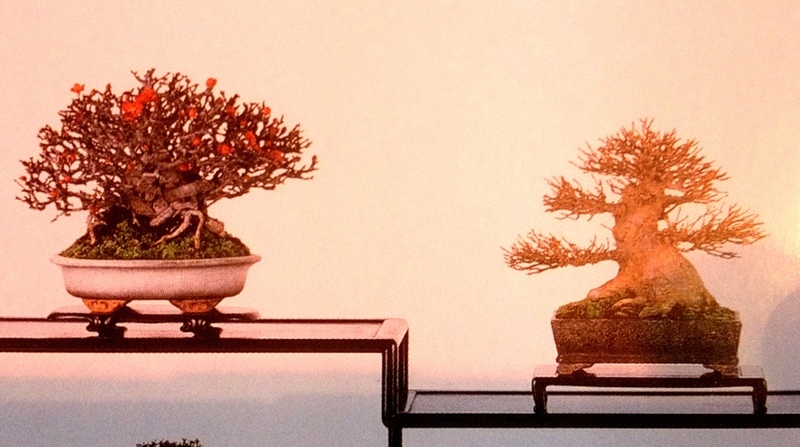 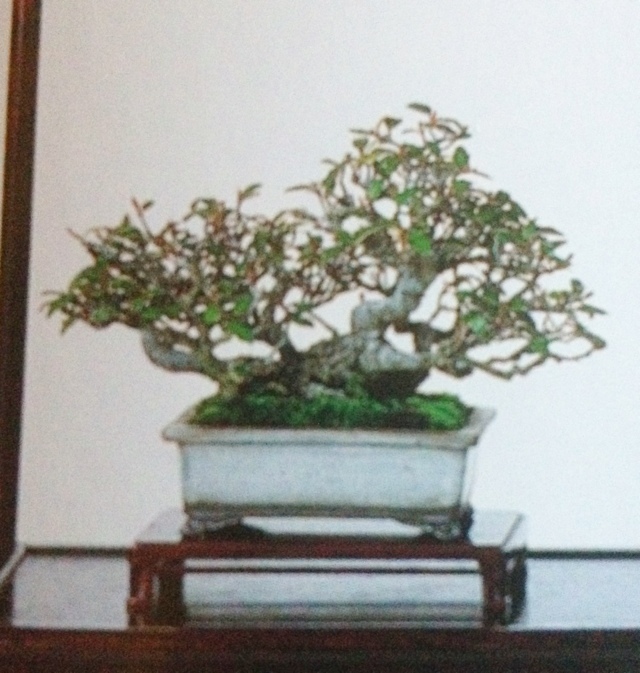 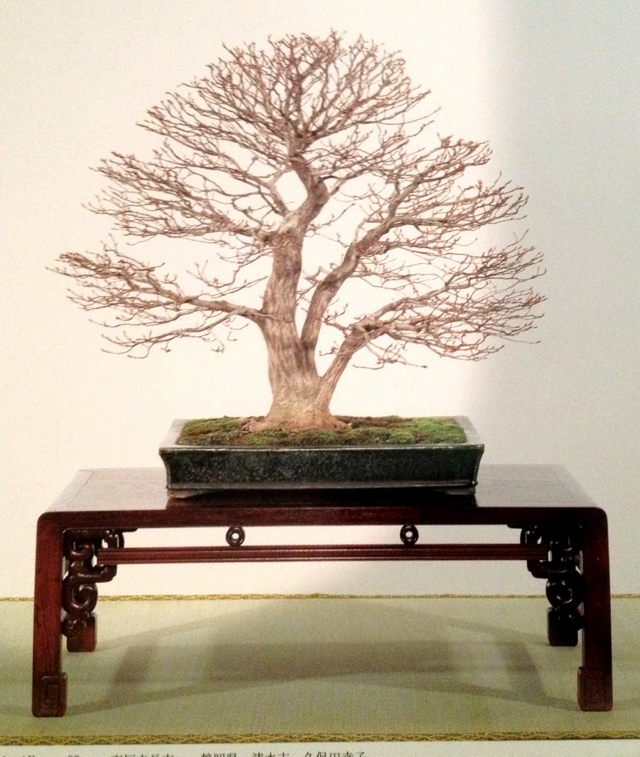 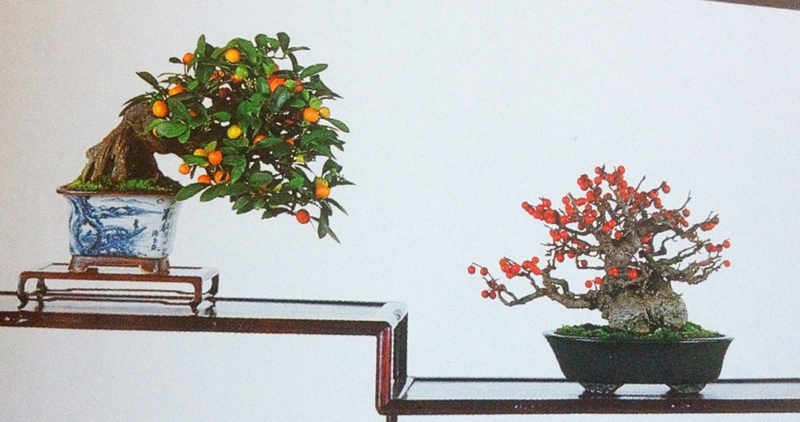 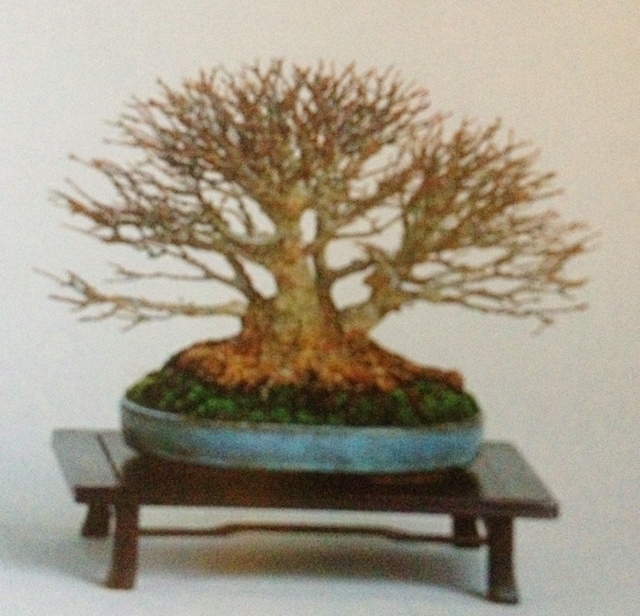 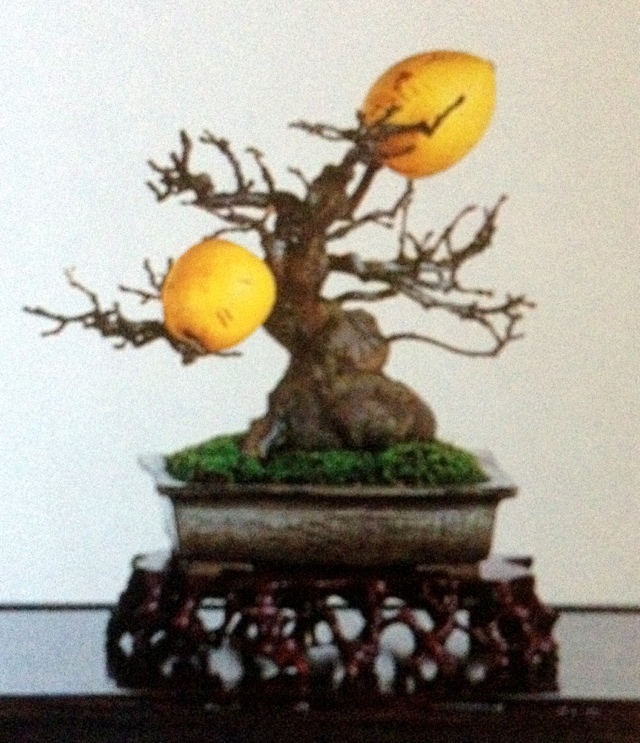 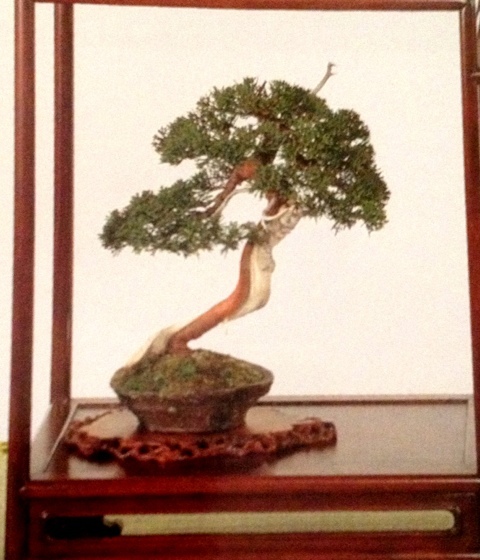 The left bonsai is a kinzu(kumquat) and you may recognize it from Bonsai Tonite, Jonas Dupich’s wonderful blog. 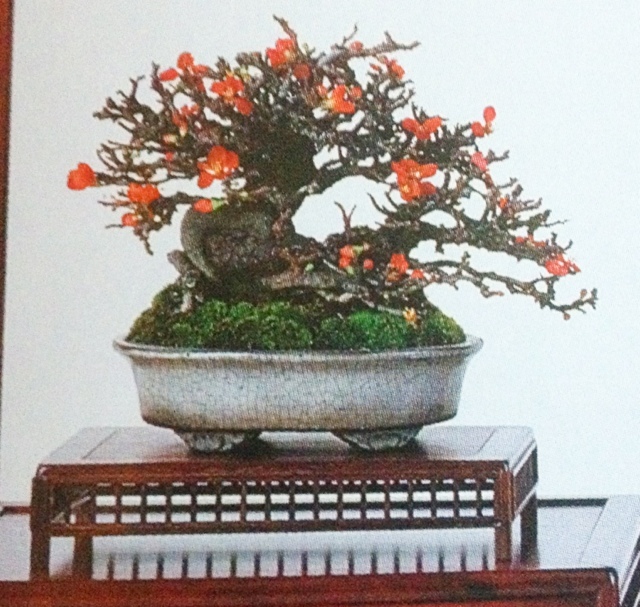 The white crackle contrasts well with the black bark and red flowers of this chojubai. 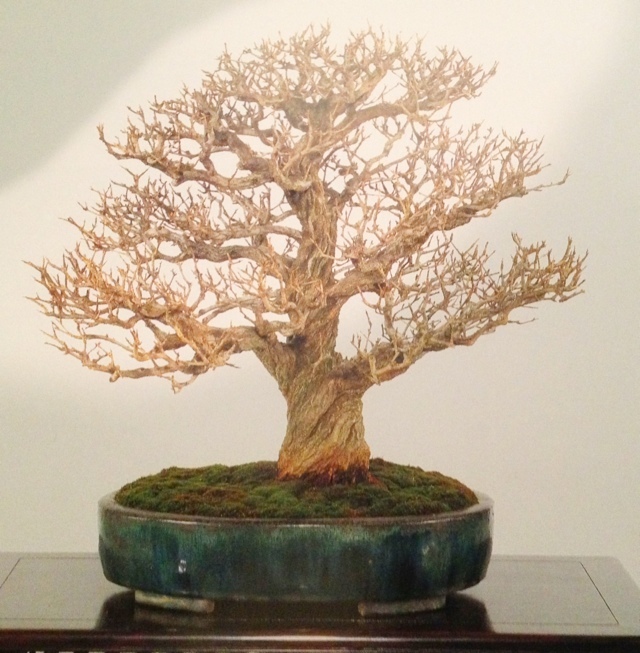 The feeling of age in the total composition is impressive.